Heritage Auckland Hectors Restaurant has been announced as the very first New Zealand restaurant to achieve Vegan Certification by a new scheme created by the New Zealand Vegetarian Society. 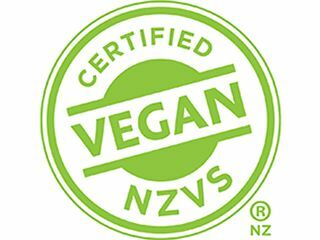 The New Zealand Vegetarian Society is running the Vegan Certification programme in collaboration with the Vegan Society of Aotearoa New Zealand. The certification is the only one of its kind in New Zealand. “The ever-increasing demand for vegan food and products made this a good time to launch such a programme. The new certification symbol will make simple work of finding suitable products and dining experiences that are authentically vegan,” says Julia Clements, president of the New Zealand Vegetarian Society. For Heritage Auckland, the certification involved a stringent and independent audit of every ingredient in the hotel’s Hectors Restaurant plant-based menu range. 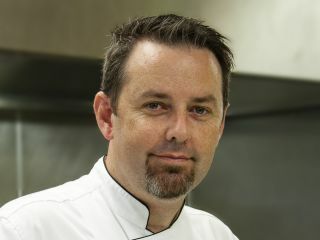 The rigour of the process sent the executive chef of the Heritage Auckland, Gerrard O’Keefe, on a major culinary research project, but it was worth it to his mind. “We are delighted Hectors Restaurant has been Vegan Certified by the New Zealand Vegetarian Society. It took weeks of research to conduct a detailed examination of our suppliers’ ingredients that go into our vegan menus. The thoroughness of the New Zealand Vegetarian Society process proved a great discipline and their support is hard-earned, so it’s a huge honour to be the first restaurant to achieve their accreditation,” says Gerrard O’Keefe. “There are a dozen or so companies with different products and ingredients now certified, and many applicants waiting. The amount of interest in the Vegan Certification has been extraordinary, perhaps not surprising given veganism is currently growing at an unprecedented rate,” says Stephanie Lane, certification manager of the New Zealand Vegetarian Society. Heritage Auckland began offering plant-based menu items in both its lobby cafe and Hectors Restaurant in 2011. The hotel then went on to be the first New Zealand restaurant to be Vegetarian Accredited by the New Zealand Vegetarian Society in early 2013. A constant innovative dining leader, Heritage Auckland followed up with a plant-based raw breakfast bar in Hectors Restaurant to great success. Hectors Restaurant has a delicious vegan range for breakfast, lunch, high tea and dinner. The hotel has a regular ‘The Creative Kitchen’ menu with new seasonal plant-based dishes each week. The hotel also regularly hosts special dining events to celebrate vegan dining including World Vegetarian and World Vegan Days each year.